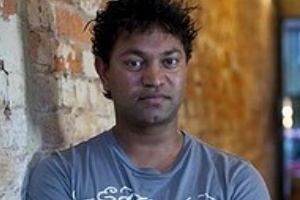 How Google Earth Helped Saroo Reunite With his Family. 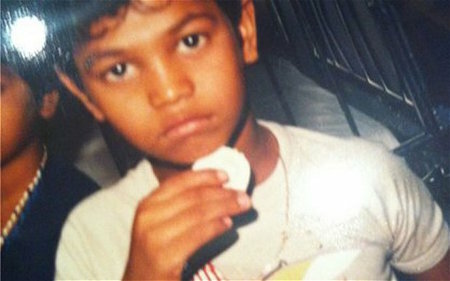 Indian boy Saroo Brierly was only 5 years old when he accidentally separated from his family after falling asleep in a train for 14 hours. The journey took him to the city of Calcutta which was almost the other side of the country. According to BBC, being uneducated and of a small age, he couldn't tell the name of the place he was from and was left wandering in the streets of Calcutta. Uneducated, starving and ofter begging for food, he finally ended up in an orphanage where he got adopted by a couple from Tasmania in Australia. Even after moving to Australia, the memories of his mother and brother kept him awoke many nights and he was determined to find his true roots. Even though he didn't remember the name of his home-town, he started playing with Google earth in an effort to find out. He calculated the average distance he had traveled as 1200 km during the 14 hour ride. After narrowing down the possibilities and an extensive search in Google earth, he almost stumbled upon a familiar scene from his childhood - a waterfall near a dam where he used to play with his brother. The place was khandwa and he immediately set out in search for his mother and brother. Although his family had moved from the original house they had lived, he could eventually locate his mother with the help of the locals. His mother is now in her sixties and his 40 year old brother Kalu, a taxi driver are both happy to have their family back. Where Are Most Smartphones Lost [INFOGRAPHIC]. Animated Gif Image in Google+ Cover Photo or Banner. Hidden Themes in Windows 7 - Unlock Now. How to Redial in Android. Unbelievable story of an Indian boy who could eventually reunite with his family after 25 years with the help of Google earth.